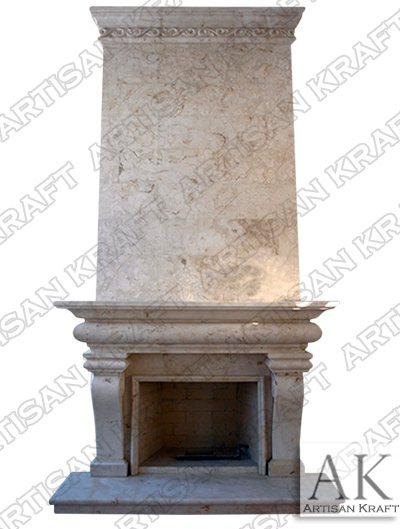 Classic French Fireplace Mantel Surround has a Bolection profile that makes this fireplace mantel unique compared to a more elaborate French design. This mantel is crowned with a brazen mantel piece. Though it’s a traditional French mantel the Classic French Fireplace would feel at home in a contemporary setting. Generous curves and scroll corbels are what individualizes this fireplace mantel. Upper portion is simply wall panels.